Well, homeschooling friends, I’m sure you are already on the look out for products to help you out with the upcoming school year. I know that my family is sort of revamping how we homeschool now that I will have 2 school-aged kiddos in the mix. I had the pleasure of reviewing, and using, a resource that I know you’ll love too! The Joy of Discovery/Learning Objectives have been bundled together by Hewitt Homeschooling. 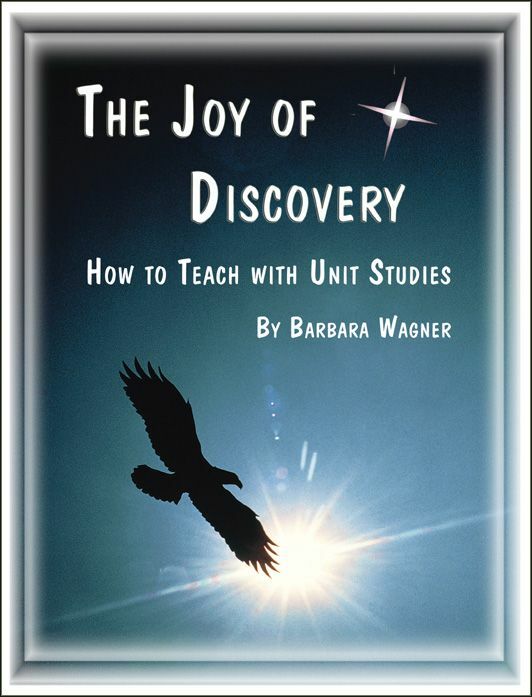 The Joy of Discovery, developed by Barbara Wagner, is a guide on developing unit studies. Everything you need is included in this binder, as it really is a “how to” type book that also includes blank forms and templates to be copied and distributed as needed throughout the years of using this method to teach. This book will explain how to decide on a topic, determine which “question” to discover, and then how to develop the study. In addition, it helps the parent out in the areas of record keeping, evaluations, and what to expect on this learning journey. Your first step once you receive it is reading all the way through it. Once you pick it up, you won’t be able to stop! Reading about unit studies was fascinating and I felt energized learning how I could use my students’ interests to lead studies in ALL academic areas! This actually made me feel a new appreciation for unschoolers, as I know several that use this type of thinking to ensure their children learn all that they need to while also hitting all of their targets prior to graduating. That said, I don’t feel that this is an unschoolers manual by any means. I can’t wait to implement it more into our homeschool in the coming year for sure. This book gives structure to a concept that previously seemed to “loose” to work with in the past to me. For a family interested in using a child’s interest to lead studies, using both books can ensure sound academic achievements along the way in all subject areas. Long-lasting knowledge would be expected using this resource due to the varied learning styles and methods used – not to mention that they PICK what they want to learn! In other words, it uses what they want to learn about as a vehicle to teach what they need to learn. This method offers flexibility and creativity. It is much more exciting than a boxed curriculum that tells you what to study and how to do it. There is also a Dial-A-Unit included which aids in ensuring that each learning style will be successful. Your units will go beyond the 5 Ws (Who, What, When, Where, Why). It also hits on the 6 skill levels and uses 6 delivery modes (written, visual, oral, kinesthetic, tactile, aesthetic). I love the blank forms provided to copy and fill in. It really helped me to make sure I was covering all of my bases and helped me to keep my kids challenged. When doing a unit on sharks, I was able to incorporate many subject areas and see what they had learned through their research in ways I would not have thought up on my own. This goes WAY beyond just reading a nonfiction book together. They learn how to DO something with that information and retain it. I love how this is tied to the Learning Objectives as well. It reminds me of my teacher training and how I had to match up my lesson plans to the appropriate TEKS to ensure that the lesson wasn’t fluff. I also felt that this resource did a great job helping to tie multiple age groups or abilities together to simultaneously learn the material at their appropriate levels. That’s something I’d been curious about now that I have an upcoming Kinder student and 2nd grader. My kids appreciated that, for once, I was asking them what they wanted to learn. I want to use this to do at least a couple of units per school year because they just blossomed. In the near future, I believe we’ll use this book to help guide us in creating unit studies based around River Monsters. They LOVE that show and I’d love to have them learn all about the animals (they already ask about them after seeing the show!) and then stretch it out to also learn about the countries and regions they are found, the cultures there, some math (like sizes of the species, comparisons, statistics related to them), folklore, and more. The only con I can think of, and this is a personal problem of my own, is that it is not a complete “How to Teach ______” guide. It is for creating unique and personalized unit studies. The parent is responsible for making sure different subject areas are taught, learning objectives are met, etc. If you are a strict boxed curriculum person because you crave and NEED that kind of structure to have it all laid out for you, then this might stress you out! While it is very organized, it also leaves so much open to fill in the blanks…. it begins a journey with each unit studied! If you’re ready for the adventure, though, you won’t find this to be a problem at all. Hear what the Schoolhouse Review Crew had to say about it! Please check out Hewitt Homeschooling, and also check out the specific page for The Joy of Discovery/Learning Objectives bundled in one binder. It retails for just $21.00 and is currently on sale for $10.50! (As of July 12, 2012). This is for grades K-8th, but I would certainly say that you could apply The Joy of Discovery to much older students, as well. The principles are sound and general enough that it could be tailored to students on all levels. I am so excited to have become a part of the Schoolhouse Review Crew and this is my first product review with this great group. Be sure to click on the banner below to visit other blogs that have reviewed products from Hewitt Homeschooling! Disclaimer: As a member of the TOS Crew, I received this product, at no cost to me, in exchange for my honest review. All opinions in this review, and the rest of my blog, are mine alone.